... to take advantage of all the possibilities of the site ! 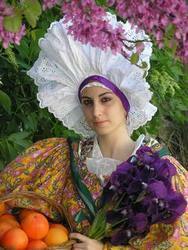 The traditional Provencal group of the city of Gémenos. The Poulido Gemo which means in Provençal "Pretty of Gémenos" is happy to show you around his world through this site. Maintaining traditions, shows, dances, music, costumes, festivals and travels abroad ... Come to discover our group and all its activities. Come and share our passion for the culture of Provence and our pleasure to do live through the scene and by the encounter with the public. Quality, authenticity, creativity and dynamism are the keywords of young passionate dancers and musicians who work in La Poulido de Gèmo in a total team spirit. The 9th edition of the Festival of World Cultures Gémenos (South of France) will take place from 14 to 21 July 2019.